Researchers will help Apple to create a stable supply of sustainable energy for the first stage of the 250,000-square-metre data centre opening in Denmark in 2017. Beginning in 2017, Apple’s new data centre will store enormous amounts of information from some of the large online services we know, including iTunes, iCloud and App Store. Once completed, the centre is therefore expected to have an energy consumption of approximately 2000 gigawatt hours, which is the equivalent of more than half a million Danish households. The decision to locate the data centre’s activities in Central Jutland is largely because Danish researchers have internationally competitive technology insight and expertise in developing and implementing green power that is 100 per cent reliable round the clock. In addition, Aarhus University can offer a location that is a hub for electricity transmission in the Nordic countries, and this makes it possible to balance the power supply between Danish and German wind turbines and Norwegian hydropower. Associate Professor Lars Ditlev Mørck Ottosen is the research director for Aarhus University’s collaboration with Apple, and he estimates that the American investment in Danish knowledge can be a boost for market maturation and the capitalisation of many new technology projects in the biomass and sustainable energy industry. "Our job is to develop concepts that can ensure a stable supply of electricity for Apple based on fluctuating energy sources, and this means that we have to find new methods to store power. 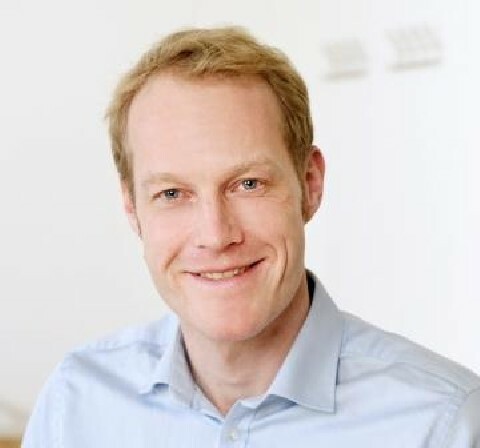 It’s a huge research-related challenge for us and also a unique opportunity to create new knowledge and even more business collaboration, thereby boosting our national expertise in energy technology," says Associate Professor Ottosen. Fossil fuels or nuclear power are currently the only alternatives available for a completely stable supply of power in the amounts required for round-the-clock operations for App Store, iTunes and iCloud. In recent years, however, Aarhus University researchers have achieved a number of interesting results in their work with storing surplus power from wind turbines, and one of the solutions to this is biotechnology. "Science has been trying for several years to find appropriate solutions to how to store volatile solar and wind energy. We now have very positive experimental experience with microbial methanation, and we therefore estimate that biotechnology can play a significantly more far-reaching role in the transition to a sustainable energy society," says Associate Professor Ottosen. Researchers fed a certain type of bacteria in the laboratory with water, electricity and carbon dioxide, and got them to produce methane gas – a stable energy carrier that can be integrated in the natural gas grid. According to Associate Professor Ottosen, the method can play a key role in Apple’s energy supply. "Now that we’ve demonstrated how to use microbiological techniques to convert surplus power from wind turbines to methane gas, it’s also likely that we can create the necessary storage capacity that Apple wants. In the coming years, we’ll study in much greater detail how we can use the natural gas grid as a gigantic battery," he says. The researchers expect that the new method for producing methane gas can be put into practice within a few years. They have also carried out the first successful full-scale experiments with methanation of biogas at the university’s large research facility at AU Foulum. They are concurrently working with modifications to the living conditions of the hydrogen-eating bacteria in tanks, in the hope of turning them into super-efficient producers of stable energy carriers. The researchers are now about to reveal precisely how the microbiological system works and how they can get them to produce methane in an economically viable way. The researchers have been awarded a grant of DKK 21.5 million for the first four stages of the university’s collaboration with Apple. In addition, Apple is contributing with new knowledge about fuel cell technology, which can benefit the entire Danish biogas industry. "The plan is that the large amounts of methane from wind turbine surplus power should be converted to electricity as required," explains Associate Professor Ottosen. "In recent years, Apple has invested heavily in research into fuel cells, and therefore has very detailed knowledge about how we can convert biogas to power. We can therefore work together to provide Apple with a sustainable energy supply that is not only technologically innovative, but also financially beneficial. In principle, it’s a case study that can provide Danish know-how with a boost in biogas and storage technologies," he says. The researchers’ plan to convert gas to electricity will provide superior storage capacity, while it is still a challenge to achieve an efficiency that can match the existing battery technology. Today it is not yet possible to store energy from wind turbines. Whenever there is a surplus, it is therefore sold to the electricity companies at a low price.